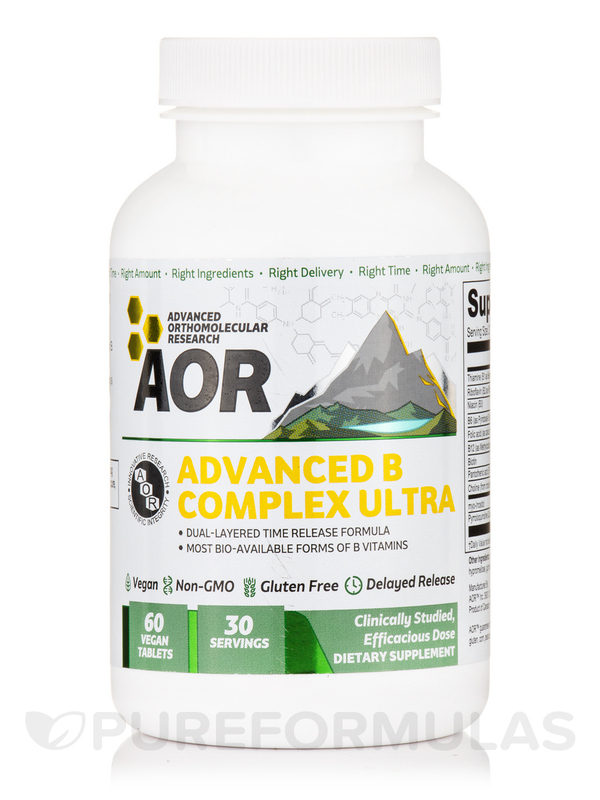 Advanced B Complex ULTRA is AOR’s best B complex yet. It is based on Advanced B Complex‚ an award-winning favourite‚ but with even better absorption and additional benefits for heart health‚ brain health‚ and energy. 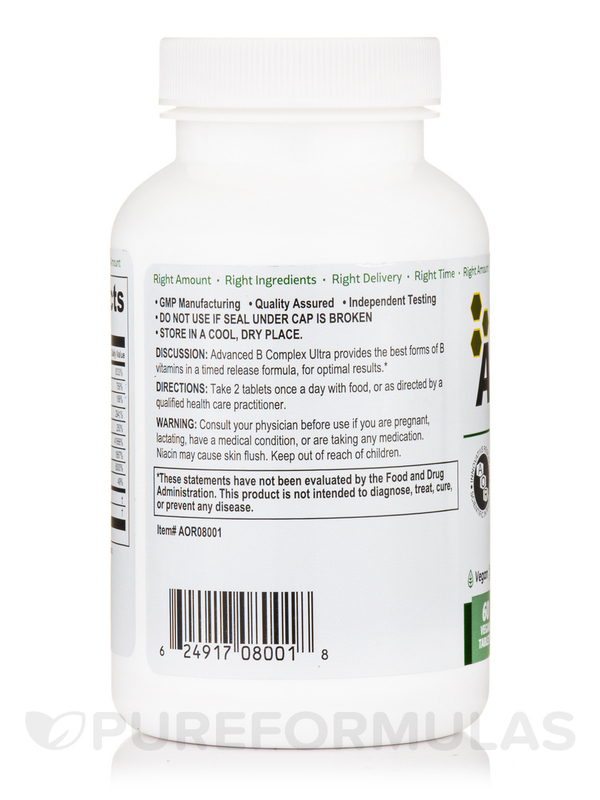 Advanced B Complex ULTRA utilizes time-release technology to enhance absorption‚ and provides all of the B vitamins‚ some of them in multiple forms‚ for superior efficacy in the body. Advanced B Complex ULTRA is the most cutting-edge B complex available and is a more effective formula compared to others on the market. 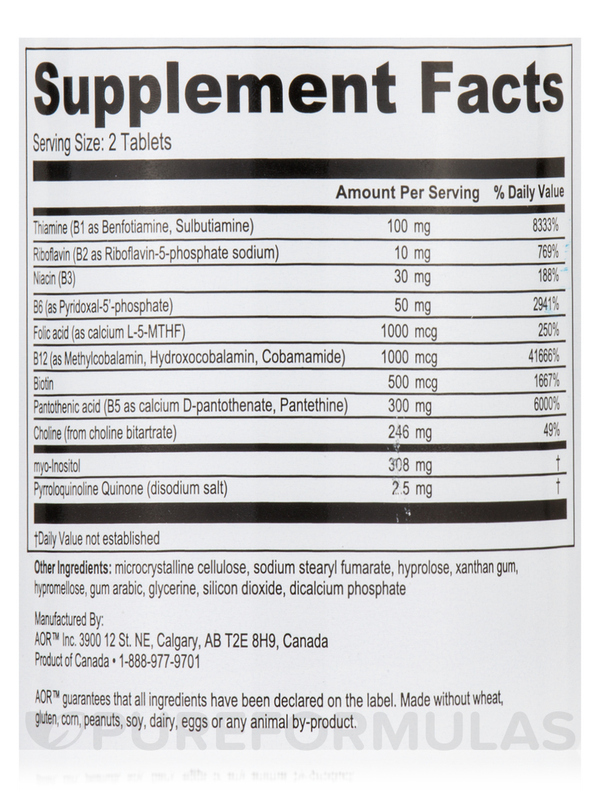 Unlike most B complex products‚ it provides the best forms of the B vitamins and in multiple sources‚ providing additional benefits not usually seen with most B vitamin formulas. 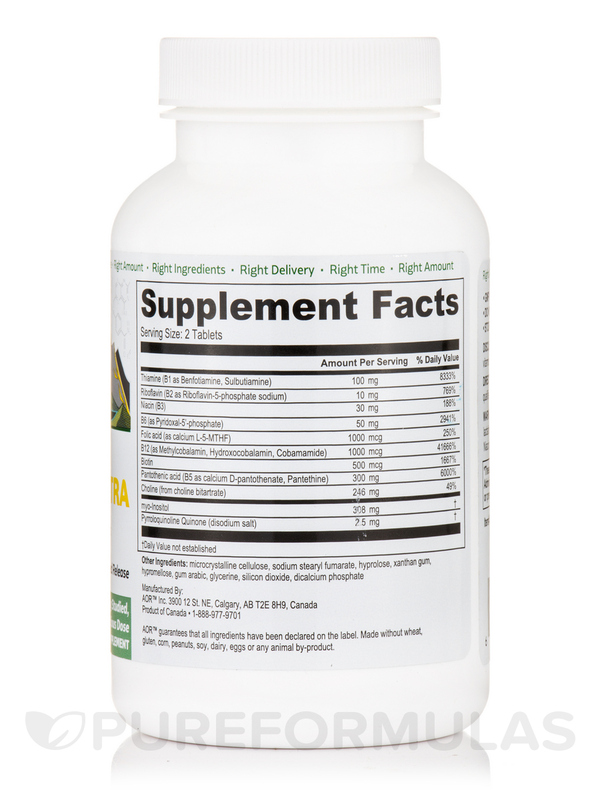 Advanced B Complex ULTRA is formulated with niacin‚ the most active form of vitamin B3‚ and the form most effective for heart health and cholesterol. Niacin is not commonly used in B complex supplements because it causes a harmless‚ but uncomfortable flushing sensation. 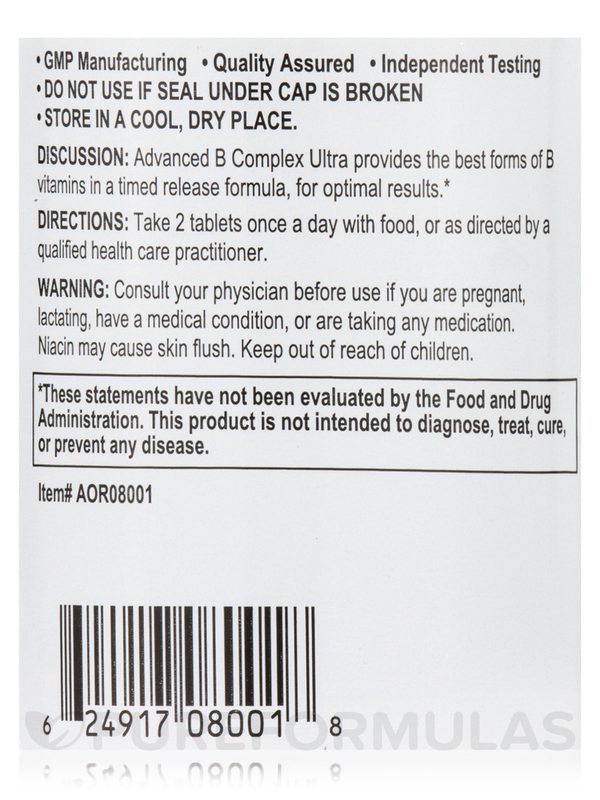 Advanced B Complex ULTRA contains a safe dose of niacin and the slow release formula minimizes the chances of flushing. Advanced B Complex ULTRA is unique in that it also contains Pyrroloquinoline quinone (PQQ)‚ a B-vitamin-like nutrient that enhances brain health. Other Ingredients: Microcrystalline cellulose‚ sodium stearyl fumarate‚ hyprolose‚ xanthan gum‚ hypromellose‚ gum arabic‚ glycerine‚ silicon dioxide‚ dicalcium phosphate. AOR™ guarantees that all ingredients have been declared on the label. Made without wheat‚ gluten‚ corn‚ peanuts‚ soy‚ dairy‚ eggs or any animal by product. GMP Manufacturing / Vegan / Vegetarian / Non-GMO. Take 2 tablets once a day with food‚ or as directed by a qualified healthcare practitioner. Notice: Niacin may cause skin flush.